Home Blog Leasing Get the extra tech you need, when you need it. Get the extra tech you need, when you need it. For just £6 per week plus VAT, our members can have access to a pool of kit for short-term hire. That’s the kit you need when you need it for short-term projects. Nothing extra to pay. The kit in the pool will have a daily points value and you receive 350 points annually to use to hire the extra kit you need when you want it. All delivered and collected. It’s short-term computer hire that’s cheap and flexible. HardSoft’s new Creative Club is an exclusive group for our customers. If you’ve ever worked on a project and wished you had an extra MacBook Pro for a week or created a film and thought how much easier it would have been if you could have hired a 4K Camera and iMac Pro to make editing faster. Or even an iPad Pro just for a weekend to showcase at an exhibition. 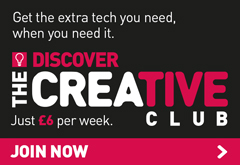 Maybe you need a Virtual Reality PC with an Oculus Rift headset then the Creative Club is perfect for you! You choose the kit and how many days you need it and we deliver and collect it. Up to four times a year, you can choose what kit you need from the list and how long you need it for, then we’ll deliver it to you the working day before your rental period starts and collect the day after the rental period starts (delivery and collection is included in your membership). At present we’ll need seven days notice for an order and you’ll have to book your CC kit via our club@hardsoft.co.uk email address, but we’re working on an online booking system and once that’s in place we’ll improve on wait times. Once you have the equipment you can load whatever software you need because there are no restrictions, you can just treat it like it’s your own! Don’t worry about wiping your data before returning at the end of your hire session, we have a safeguarding process in place which will ensure that all data is securely removed and destroyed within 48 hours of it coming back. What’s in the Creative Club equipment list? The Creative Club kit list has something for every business. We have the latest kit ready for that next need. 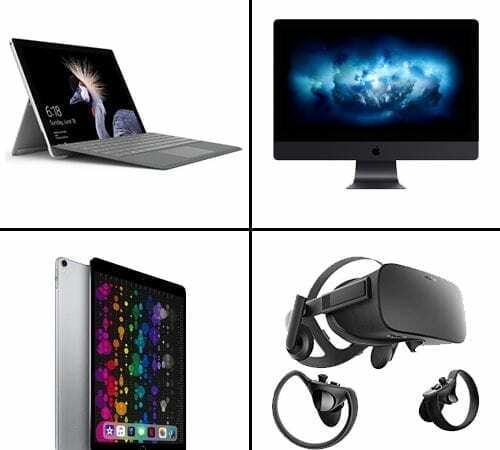 All of the computers and equipment will be the latest models and specs, supplied in a ready to use condition – although they are not brand new. We’ll be reviewing the list of available kit and adding to it as demand dictates, so if you need something specific which isn’t currently on the list get in touch and we’ll get it for you. Accidental damage is covered on the Creative Club equipment (no excess to pay) but loss or theft isn’t. You should have provisions within your business insurance to cover this. You can take the equipment out of the UK and Ireland but the accidental damage cover does not extend to travel outside these areas. You should make sure you have cover if you intend to travel further afield.